Abraham Lincoln was born on February 12, 1809 and died on April 15, 1865. In his short life, he rose from humble beginnings to become the President of the United States. He was influential in creating so many changes to the way life was in America prior to his Presidency. My personal interest in Lincoln began when I started collecting Civil War items. 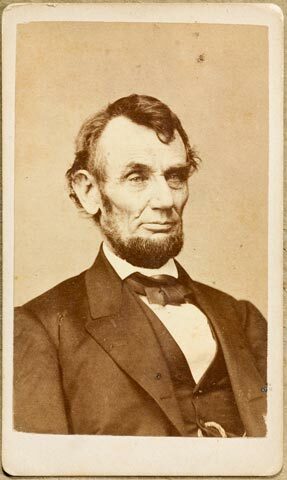 Among the remarkable things that I found, were photographs of soldiers and an occasional photograph of Abraham Lincoln. These were carefully stored away without much study. In college, I expanded my Civil War collection. After college, beginning work as a professional photographer rekindled my interest in the history of photography. I decided to go to law school and while there began to concentrate on collecting original Lincoln photographs, taken and printed while he was living. In 1997, I wrote the book, Collecting Lincoln, and began to expand my collecting interests to include sculture, prints, and paintings of Lincoln. 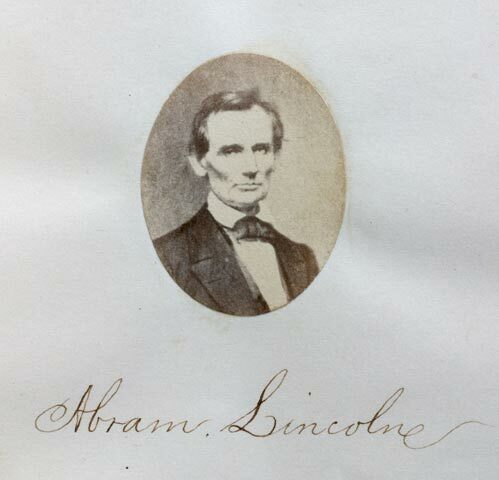 In my book, I wanted to document the things that people collected about Abraham Lincoln. Traveling to see and photograph collections introduced me to many Lincoln scholars and helped me to learn more about the man. In these pages following, I share the pieces that I have collected and that have become a part of our Lincoln Collection. 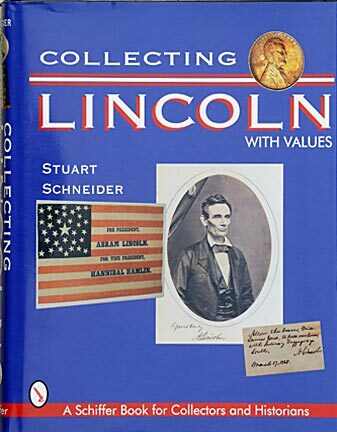 Collecting Lincoln is a 950 color photograph book by Stuart Schneider, that was written for people interested in Abraham Lincoln. 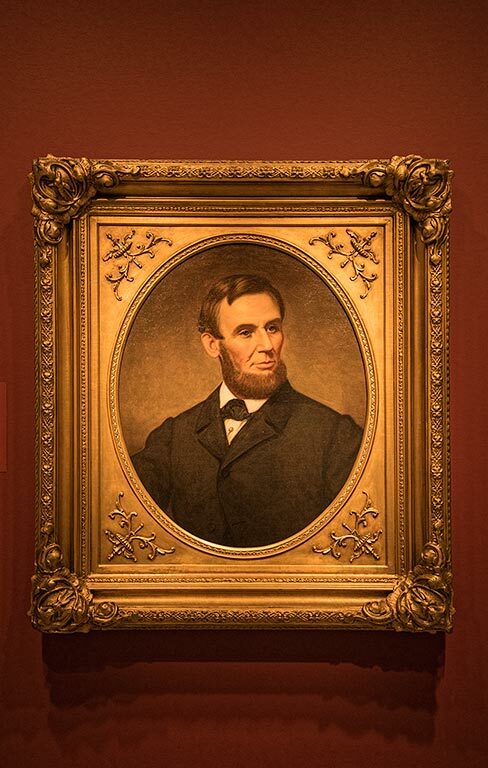 It illustrates Lincoln Photographs, Political Items, Prints, Paintings, Tokens, Medals, Relics From The President's Life, Mary Lincoln items, John Wilkes Booth items, Sculpture, Autographs, Mourning Pieces, Books, Centennial Items, and more. It includes a resource and valuation guide. A hardcover coffee-table style book that is available at your favorite bookstore. Autographed copies are available from the author. A superb painting of the President that hangs in the National Portrait Gallery in Washington, DC. 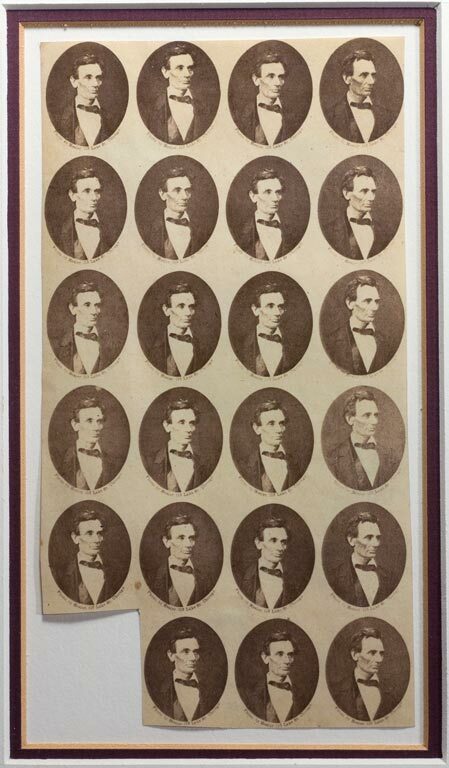 Lincoln lived during a period where more than 5 types of photography were used. His portrait can be found on Daguerreotypes, Ambrotypes, Tintypes, Salt Prints, Albumen Prints and Silver or Platinum Prints. In the Daguerreotype (collectors call them “Dags”) process, 1839 to about 1855, each photo was unique. Dags of Lincoln are scarce with values estimated in the hundreds of thousands of dollars. Each year brings out a new “Lincoln” daguerreotype find. None of these recently found dags have convinced a majority of experts and have, for the most part, faded into obscurity. Advice for the collector - Don’t hold your breath waiting to find one. The Ambrotype (about 1855-1865) and Tintype (about 1860 to the 1900s) processes were similarly unique - a single photo was made on a wet plate in the camera - glass for the Ambrotype and Japanned (black enameled) tin for the tintype. 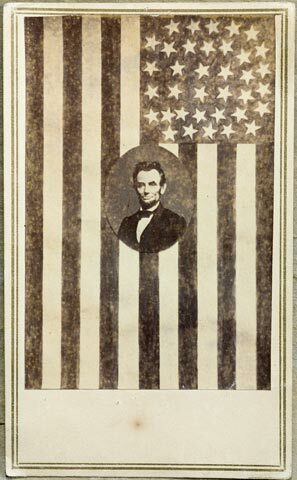 The Lincoln tintypes or ferrotypes are most common in the political “badges” of 1860 and 1864 and most are copies from other photographs. To make the campaign badges, a multi-lens camera took multiple tiny photos of a photograph of Lincoln (Lincoln did not sit for these tiny photos) on one large tintype plate. The plate was cut apart and each little photo was put into a brass shell or sold as a Gem (about 1 x .75 inches) or larger tintype. Tintypes were popular and many exist. They are often dark. Twenty three small (1 inch tall) salt print photos that were probably destined to be attached to political ribbons. The photos were taken by Alexander Hessler on June 3, 1860. A closeup of the two different images that were printed on the sheet. Note the Hessler imprint below each photo. 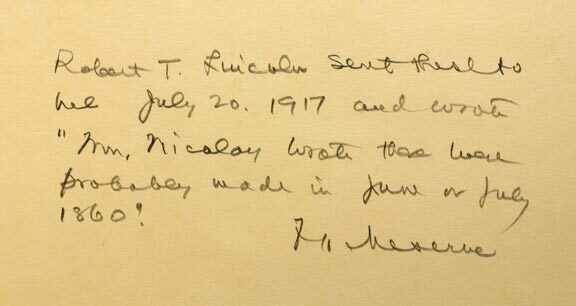 A pair of notes from Frederick Hill Meserve, an early Lincoln collector, that came with the sheet of 23 photos. He received them from Robert T. Lincoln in 1917. 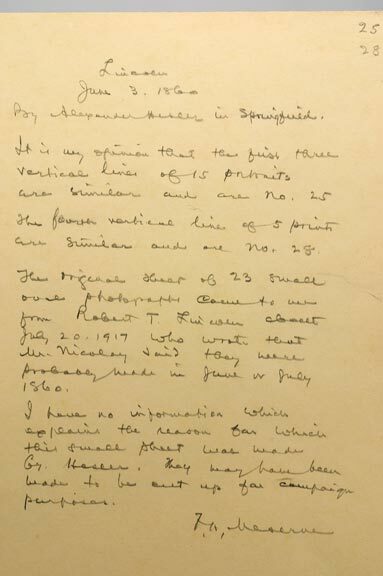 I found the letter that Robert T. Lincoln sent with the sheet of 23 photos to Meserve, at an auction many years ago. I placed a bid to get it, but was unsuccessful. I later tried to contact the purchaser through the auction house, but never received a response. Ambrotypes are rarer. Ambrotype political photos of Lincoln exist for his first presidential campaign and are actively sought. There are some originals and copy photos of Lincoln known in the ambrotype medium. 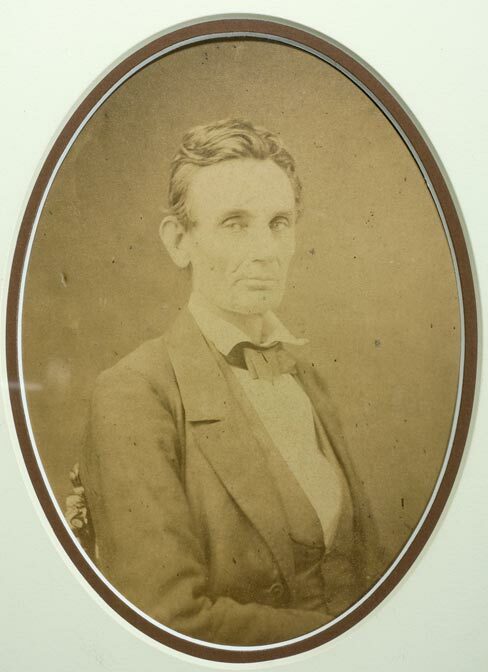 A presently unknown, original ambrotype of Lincoln would be worth tens of thousands of dollars. There are two types of ambrotypes. One is on dark red glass and the other is on clear glass. A dark red glass ambrotype photo was a complete photo after developing. With clear glass ambrotypes, the glass had to be backed with black for the photo to be visible. Backings could be black paint on the back of the glass, a black painted piece of metal or a piece of black velvet. The Ambrotype was held in a sandwich of cover glass, then a decorative brass mat, then the ambrotype and backing, all held in a “preserver” or thin copper or brass wrap-a-round frame. In the 1850s, using the wet plate process, photographers began making negatives on glass. Positives were printed onto paper that was treated in a “salt” solution. These are called Salt Prints. 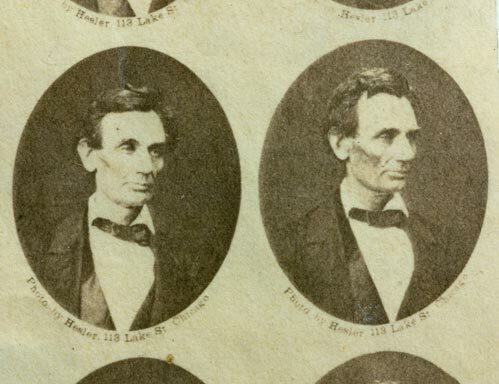 Multiple prints could be made and some of the beardless photographs of Lincoln are salt prints. 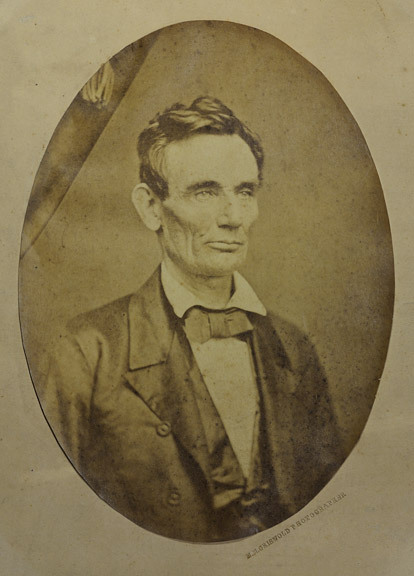 Beardless Lincoln salt prints have a sort of light brown or tan softness to them and lack luster or gloss. The photo is deeper into the paper rather than on the surface of the paper as with an albumen print. the commission unless Lincoln would sign an emancipation proclamation. He was influential in the negotiations to purchase Alaska from Russia. Sam Houston was a 19th century American statesman, politician, and soldier. He became a leader of the Texas Revolution. He supported annexation by the United States rather than seeking long term independence and expansion for Texas. The city of Houston was named after him. An early large salt print by Samuel Fassett taken on October 4, 1859. It is 7.5 x 6.5 inches. 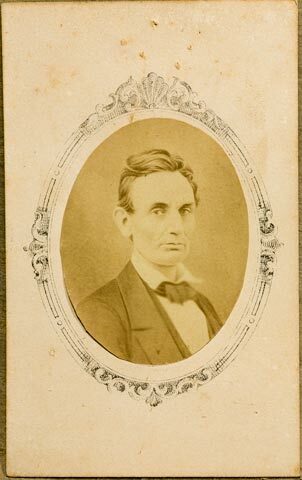 A CDV of Lincoln by Samul Fassett printed in 1860. By late 1860, the albumen print was the print of choice. The coating on the paper was made from an egg white base (albumen) and the photo was on the albumen surface of the paper. Mathew Brady and Alexander Gardner’s photos of Lincoln and the Civil War were made this way. Albumen prints were richer and glossier than salt prints, but with time, some have faded, giving a much softer image. The printing process in the 1860s was usually by contact print (laying the negative on sensitive paper and exposing it to light for a photo as large as the negative). Beardless Lincoln by Roderick Cole in 1858, oval, image size 7.2 x 5.2 inches. Most CDVs - Cartes de Visite (which refers to a photo 2.25 x 3.75 inches on a card - 2.5 x 4 inches. Pronounced “Cart Di (as in “didn’t”) Vizeet”) were albumen prints. The CDV was invented in France in 1854 and made its appearance in the United States about 1860. It is said that over 100,000 CDVs of Lincoln were made for his 1860 presidential campaign. CDVs were produced from 1860 to 1885. Those from the 1860s are usually on a thinner stock than those of the 1870s. Many 1860s CDVs have a two line boarder around the edge for a framing effect. CDVs bearing tax stamps on the back are from the period September 1, 1864 to August 1, 1866. Very little enlarging was done during this time, so larger prints are rarer. Most of the Lincolns “from life” are found in the CDV format and offer the greatest variety and price range. Some are rare and some are not so rare. CDV cameras often had 4 lenses which were sequentially uncapped and then capped to give 4 images on one plate. If two, side by side, were uncapped together, they yielded a Stereo photograph. Stereo views were twin photos mounted on a rectangular card taken by a camera with two lens which were about 2.5 inches apart. The slightly different perspective of each lens gives a three dimensional effect when viewed through a stereo viewer. A rare stereoview of Abraham Lincoln taken by Lewis E. Walker in 1864 in Washington, DC. The tax stamp on the reverse indicates that it was sold after September 1, 1864. When viewed through a stereo viewer, Lincoln appears before you in three dimensions. 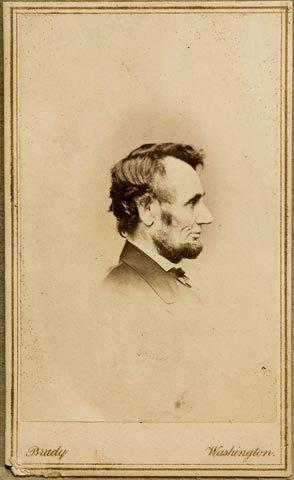 Lincoln’s image was printed on stereo cards while he was living and after his death. Earlier cards are usually worth more than later cards. Here are some tips for dating the cards. The early cards, between 1854 and 1861, were square cornered (sometimes they become slightly rounded with use) and usually white or ivory with a high luster. Between 1859 and 1861, one could also find cards with a high luster gray. From 1862 to 1872 the cards were mostly yellow with earlier cards being a lighter yellow and later cards a deeper chrome yellow. Starting in 1866, several makers began using colors such as purple or pink and then green. About 1868, the cards were made with rounded corners. Earlier cards contained two mounted photos. 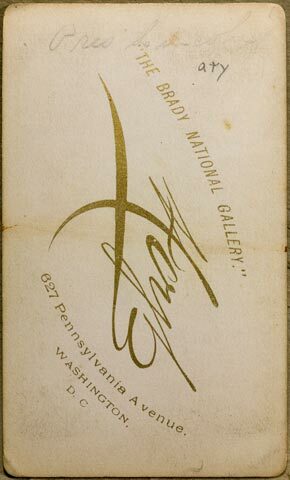 Larger cards were made in the late 1870s and after. Then they were made with one wide photo containing the two images. Tax stamps indicate the same date range as CDVs. Probably the best known photographer of Lincoln is Mathew Brady, although Alexander Gardner took more photos of Lincoln. Brady CDVs were marked with his studio imprint on the front or back of the photo. They were printed by the thousands during Lincoln’s life and printed by the Brady studio or by Edward Anthony and then E. & H.T. Anthony. Many people wanted to see what Lincoln looked like (newspapers could not reproduce photographs until well after the Civil War). 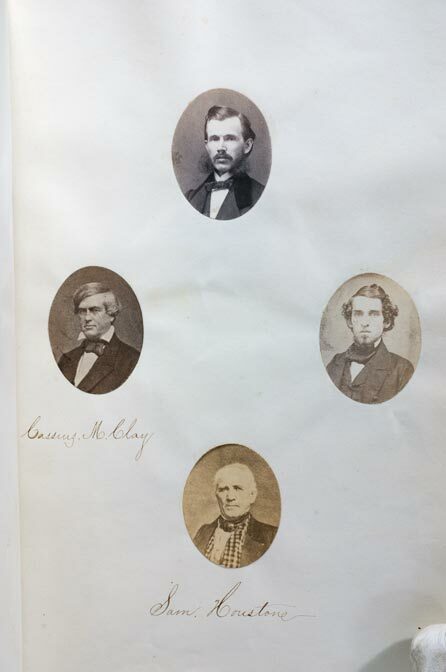 Anthony ran a photographic supply house and as the demand for Lincoln photos was greater than the Brady studio could handle, Anthony took over the printing and sale of the photos. These were printed from the original Brady negatives. A CDV taken by Brady on February 9, 1864. This is the picture of Lincoln that appears on the US $5.00 currency. The back side of the CDV on the left. 1858 photo (1.25 inches tall) taken by Alexander Hessler and attached to a silk ribbon. This is one of the earliest political ribbons created for Lincoln's run for Senator against Stephen Douglas in 1858. 1860 political ribbons created for Lincoln's run for President. Photo (1.5 inches tall) taken by Roderick Cole in 1858 and attached to a silk ribbon. This political ribbon was created for Lincoln's run for President in 1860. 1860 campaign ribbon with applied salt print photo of Lincoln by William Marsh.